Posted on Jan 21, 2015 by Appleton Downtown Inc.
Kind of makes your heart go pitter - patter, doesn't it? 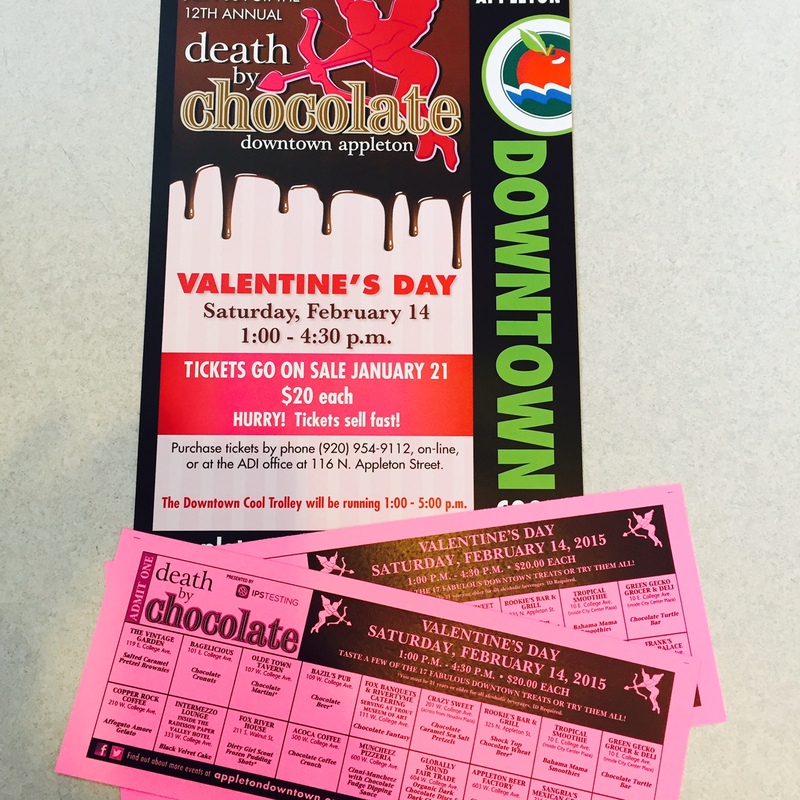 All of that and more awaits you at the 12th Annual, Death by Chocolate Valentine's Day event, Saturday, Feb 14th. Spend your Valentine's afternoon, 1-4:30pm, in downtown Appleton sampling scrumptious chocolate desserts whipped up by some of the best chefs in the area, right here on College Ave. For only $20, you will be able to taste unique desserts and drinks in 18 different restaurants, bars and coffee houses. And the Downtown Trolley will be running to make your travel to each location easier! Download a copy of the trolley route or just look for it to stop at each block! Ticket sales begin Jan. 21 and are limited. We do expect to sell out, so don't wait! Tickets will be available online and in our office at 116 N. Appleton St.
Vote for your favorite chocolate treat at the end of the evening and help choose The People's Choice Award winner and all the bragging rights that go with it! !